Tanganda Tea Company is the largest producer, packer and distributor of tea products in Zimbabwe and distributes to wholesale and retail outlets on both the domestic and regional markets. TDB financed the purchase of mechanical plucking machines, tractors, motor vehicles and equipment for further re-capitalizing of its operations and upgrading of its Beverage Division, as well as for expansion of its Agricultural Division. The project also entails the expansion of its agricultural division by investing in macadamia, avocado and coffee plantations. 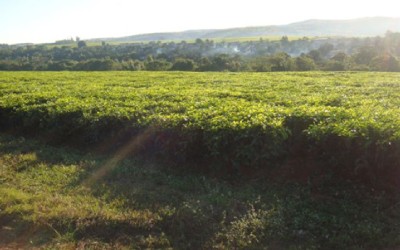 Tanganda Tea Company provides employment directly to thousands of local people. It is also estimated that the majority of the project’s revenues are in foreign exchange and therefore, projected to generate significant amount of foreign currency per annum for Zimbabwe.